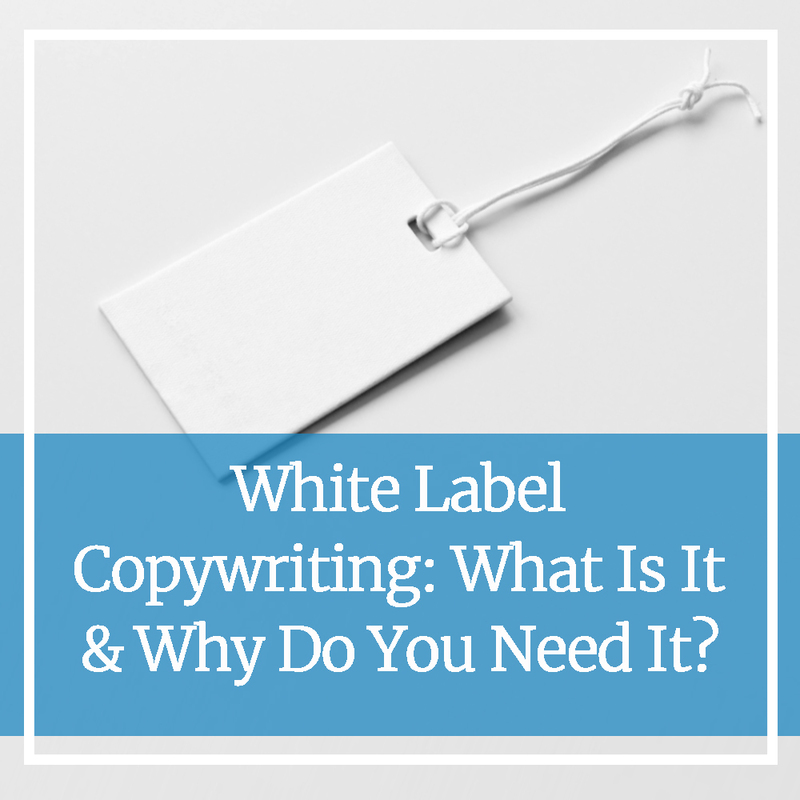 White Label Copywriting: What Is It & Why Do You Need It? Are you a marketing agency with an overwhelmed content department? Or, maybe you’re a design, development or SEO agency who wants to add additional services to your repertoire. If so, you might benefit from outsourcing your copy needs to a white label copywriting service. White label copywriting is content that is outsourced to someone outside of your business and then sold to your client as your own deliverable. The copy is written anonymously, or “ghost-written,” by a freelance writer or copywriting agency. White label copywriting services are typically used by marketing agencies who wish to have copywriting as an additional service available to their clients. This allows the marketing agency to scale business, without hiring a permanent in-house writer. High-quality copy is critical to the success of any marketing strategy. After all, content marketing results in conversion rates that are six times higher than many other methods. To take advantage of everything copy has to offer your clients, white label copywriting services can be extremely beneficial. Each marketing strategy is unique, as is the content used to fulfill specific marketing goals. White label copywriters have the ability to create the materials you need that perhaps your in-house team does not have the knowledge or experience to create. Types of copy projects include blog posts, lead magnets, PPC ad copy, eBooks, email campaigns and more. You have the freedom to choose the copywriter you work with based on what you can afford. Plus, outsourcing your content erases the need to hire a full-time copywriter, saving you overhead costs such as salary. With white label copywriting, you’ll use your copywriter’s services only when there’s a project to complete. Moreover, you can often markup the content you’re outsourcing, providing your company with a new source of income that requires little work on your part. As you outsource your content tasks, you’ll have more time to dedicate to other critical parts of your client’s strategy. Many white label copywriters and content agencies have years of experience in all types of content creation for a wide variety of niches. Outsourcing is flexible, which means you’ll be able to find a copywriter with the expertise you need by project. Want to Learn More About White Label Content? White label copywriting services are a great choice for marketing agencies looking to take their client’s content to the next level. To learn more about our white label content services or about outsourcing your content, send us a message.